Since its inception in 1990, Eolus has developed extensive expertise in the establishment of wind power facilities due to the large number of wind turbines established by the company and an extensive project portfolio. Thanks to this expertise, when you invest in wind power facilities established by Eolus you will have a stable and dependable partner. Eolus Vind focuses on good overall economic efficiency during the entire lifetime of the wind turbine, and therefore the company employs a structured process where every step is designed to meet both financial and environmental requirements. Eolus Vind is an independent developer and we establish wind turbines from the world-leading manufacturers Vestas, Enercon, Siemens and Gamesa. Since the company continually monitors developments in its market, it may use other suppliers for future projects. A wind-power project comprises three phases: pre-study, project development and establishment. In this phase, the company studies the prospects for establishment in a given location, and makes initial contact with land owners, the relevant authorities and referral bodies in order to evaluate the possibilities and identify any opposing interests at an early stage. If the project seems promising, leasehold or other agreements are signed with the landowners. Then it’s time for the next phase – project development. A wind farm can only be established when the necessary permits are in place. When a construction decision has been made, the project moves into the establishment phase. 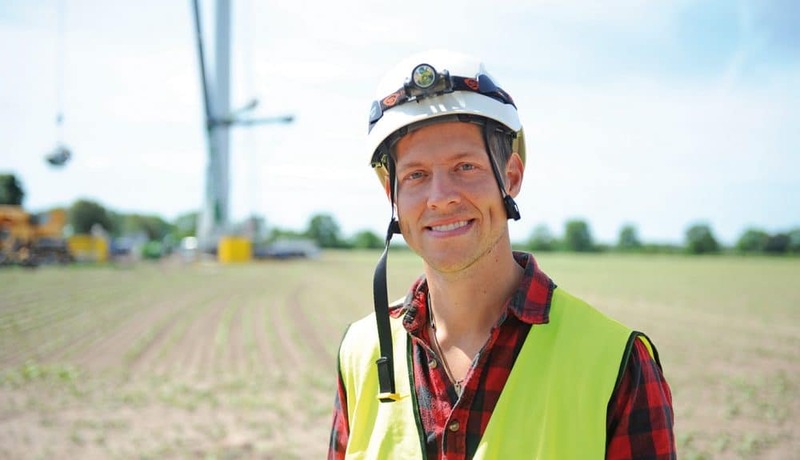 Once the turbine has been established and commissioned, it is sold as a turnkey turbine to a customer or transferred to Eolus’s electricity generation inventory. Eolus has an extensive portfolio of projects in various stages, providing ideal opportunities for meeting a range of investor requirements and demands. In the course of its project development, Eolus endeavors to create the minimum possible environmental impact and to ensure that valuable biotopes, cultural relics, etc. are taken into consideration. An Environmental Impact Assessment (EIA) must be prepared in accordance with the Swedish Environmental Code. The EIA describes the turbine’s estimated impact on its environment. The noise from a wind turbine may not exceed 40 dBA at the nearest residence, and the projected shadows that result from the sun shining on the turbine’s turning blades may not exceed eight hours per year. There are restrictions on the location of turbines in open landscapes with numerous valuable landscape features. Areas with ancient monuments also affect the establishment of wind turbines. When it comes to natural conservation, we endeavor to engage in dialogue with municipalities and county administrative boards at an early stage in order to develop a well-thought-out work schedule that will enable everyone involved to know what is to be done and when. It is important not to establish wind turbines in environmentally sensitive areas, mainly with consideration for birds and bats. Studies are performed on the seasonal impact on birds and bats, in order to study seasonal how migration routes and breeding are affected. This helps to avoid unnecessary and expensive project delays. Moreover, there are now major studies that compile experience from a large number of international studies. This knowledge provides the information to make better decisions. For Eolus, respecting natural conservation values and its projects is a matter of course.